Lenovo has reinvented the world of technology while making the best budget Octa-core smartphone, the all new Lenovo A7600-M. Lenovo A7600-M featuring Android Lollipop, 5.5” Full HD display, 13-MP+5-MP Camera will soon going to launch in China at 1000 Yuan ($163). 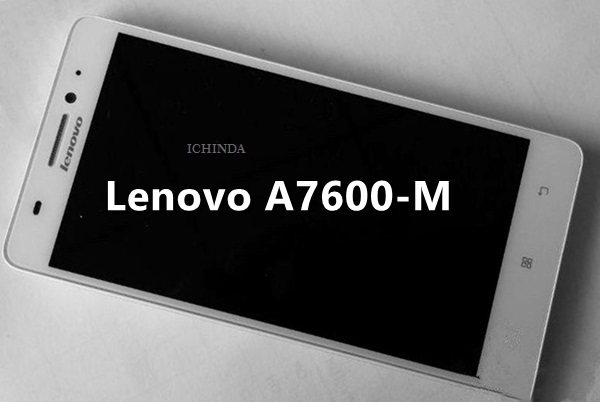 If you are an Indian Lenovo A7600-M Price will be approx. Rs 9,999 for you. Lenovo has rcently launched all new Lenovo K3 Note in China priced at CNY 899 (approx. Rs. 9,000) and CNY 999 (approx, Rs. 10,000) with Ceramic Piece Vibration Speaker in Yellow and White colour variant and Lenovo A7000 launched in Indian market on 7th April 2015 Priced Rs 8,999. Accoding to Chines website, The all new Lenovo A7600-M supports Dual-SIM(MicroSIM), 4G LTE (FDD Band 1, 3, 7, 20; TDD Band 40), Wi-Fi, GPS/ A-GPS, Bluetooth, and Micro-USB comes with a bigger 5.5-inch Full HD IPS display with resolution (1080×1920 pixels) and 401PPi offers you stunning colour consistency with wide-angel HD viewing perfect for watching movies, playing games and reading e-books. Lenovo A7600-M is powered by a fastest 64-Bit Octa-core MT6752 MediaTek processor clocked at 1.5GHz and runs on Google’s most advance Android 5.0 Lollipop OS with Vibe UI on top, 2 GB RAM, 16GB Internal memory and 32GB expandable memory promising blazing multi-tasking. Lenovo A7600-M sporting a 13-MP auto Focus Rear camera with Dual-LED flash for shooting promising superior photography in low light and 5-MP front camera best for video calling and selfies powered by a 3000mAh battery with Quick Charge will measure 152.4 x 76 x 8.39mm and weight 150gm . At last few honest word, Lenovo A7600-M is coming to win the hearts of budget phone lovers. What you think? Please be open to give your view. how to booked this piece……..
fabulous cellphone…….is there any pre booking ??? wow supeb features in affordable price how i book it? Phone is awesome here but when is the releasing date ??? 15th April 15 on Flipkart. For buying it, please register it now. 15th Apr is release date for A7000. Pls tell us date of release of A7600-M in India. wow looking so cute and good future. What is the release date of Lenovo A7600-M in india? Is it 8 GB or 16 GB internal memory? Waiting eagerly for this model A7600M pls let know the launch date. Please inform me when this Lenovo A7600 M will be available in India or online for purchase. I am eagerly awaiting to buy it. My phone no-09954344689(M) & mail ID- mofizur_rohman@rediffmail.com. Pls inform me as soon as possible. Does this phone also embedded with Dolby Atmos technology?? jab ye mobile market me aa jaaye to inform kar dena with price ke,,,,,, i like all feature this mobile. I am waiting eagerly to buy this smart phone .when it released? plz inform me for the launching date of Lenovo A7600-M in India.